In that WKYC interview, Roger says the band will go into the studio in February to work on the new album. 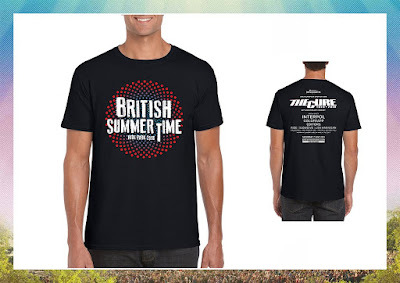 Also says the 2019 World Tour will probably end in South America, and they are talking about playing North American shows in the Autumn. 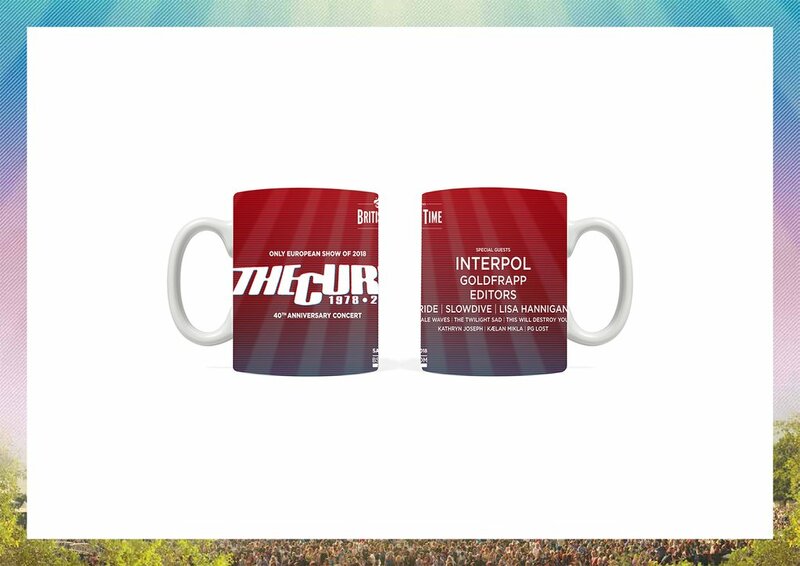 Congratulations to The Cure, and to all Cures, past & present! 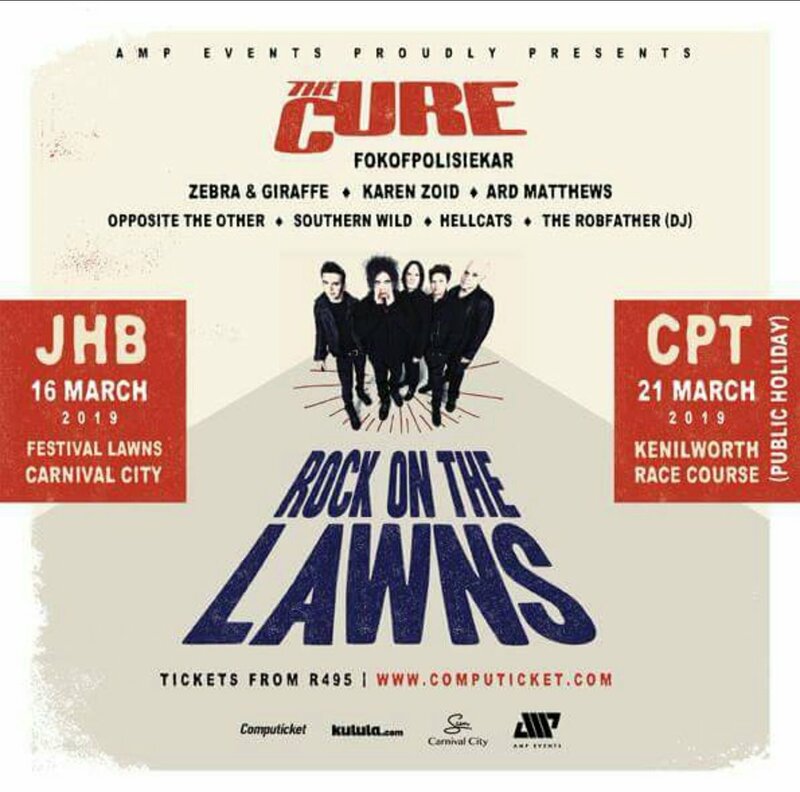 Lots of legit criticism and ridicule about the R & R HoF, but forget that, this isn't about the Hall, it's about celebrating the history and legacy of The Cure. Embrace it and celebrate it! 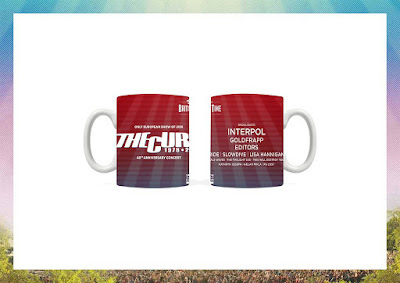 Congratulations, Cures, and as always, thank you for everything! ANNOUNCEMENT! 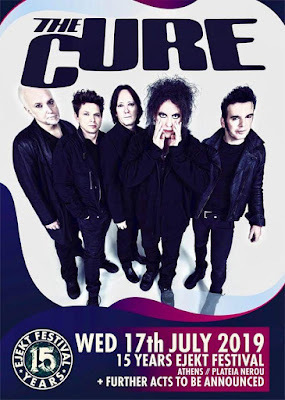 @TheCure play their first Scottish show since 1992 at Bellahouston Park on Friday 16th August 2019. Support comes from @mogwaiband, @thetwilightsad & @joyformidable. 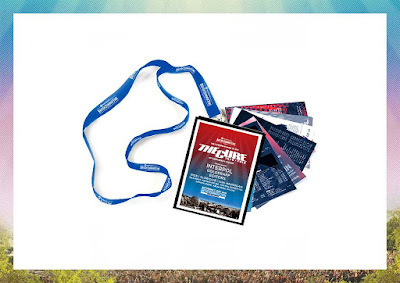 The lead bookers name will be printed on all tickets and the must attend the show and present photo ID on arrival. If booking more than one ticket, you all must arrive at the show together in order to gain entry. 4 day tickets on sale now. Tickets on sale now - Southside / Hurricane. Early bird tickets go on sale Oct. 23rd. Tickets go on sale Nov. 7th at noon. As in recent years, the Hall of Fame has announced the individual members of each band that will be inducted. The 2019 Rock and Roll Hall of Fame Nominees: Who Will Actually Get In? You can cast a vote for the Fan Ballot here. A note about the fan vote...you can vote once per day from now until Dec. 9th, then a single ballot will be created with the top 5 vote getters. That will then be counted as ONE vote (amongst more than a thousand others from historians, journalists and members of the music industry) for each of those artists. Winning or placing in top 5 DOES NOT guarantee they get in. And if they don't finish in the top 5 of the fan vote, it doesn't mean they don't get in. It's only one single vote for each of the top 5 artists (no matter how many fans end up casting votes) among over a thousand others. The Cure will return to Dublin after 23 years to perform a headline concert at Dublin’s Malahide Castle next summer. This will be the band’s first Irish concert since their appearance at Electric Picnic in 2012. Tickets for the Saturday, June 8th Malahide gig will go on sale on Wednesday, October 10th at 9am through Ticketmaster. The concert takes place on the same day of the recently announced Metallica Slane concert. The band posted a ‘save the date’ teaser on Twitter last month that revealed they would be playing Dublin on June 8th next year. The 12th October will see the release of the latest in the series of career spanning David Bowie box sets. So far the first three have covered from 1969 through to 1982. The next is called 'LOVING THE ALIEN' and reflects 1983 - 1988. The eleven CD, fifteen-piece vinyl set which includes newly remastered versions of Bowie's most successful period - starting off with 'LET'S DANCE' which propelled him into a commercially mainstream stadium-filling stratosphere, then it's follow up 'TONIGHT', 'NEVER LET ME DOWN, the live album 'GLASS SPIDER (Live Montreal '87)' and the previously unreleased 'SERIOUS MOONLIGHT' live album. Now the accepted wisdom is that while 'LET'S DANCE' was all killer, and 'TONIGHT' has its moments (Loving The Alien) but 'NEVER LET ME DOWN' wasn't Bowie's finest moment, and admittedly the 80's production hasn't aged that well. So this set includes a complete re-versioning of the album. Early this year engineer Mario McNulty - who had remixed the album's track Time Will Crawl back in 2008 with Bowie - he got in the studio with drummer Sterling Campbell, bassist Tim Lefebvre (who played on Blackstar) and guitarists Reeves Gabrels and David Torn to record a new version of the album with Bowie's original vocals. Listen to the BBC 6 Music interview here (Bowie segment starts at 44:25, Reeves interview at 46:24). They also talked to Reeves about The Cure, and say they'll air that part in a couple of weeks. In early January, the musicians involved entered New York’s Electric Lady Studios to fulfill Bowie’s wish and remake Never Let Me Down, which now features a guest appearance by Laurie Anderson on “Shining Star (Makin’ My Love).” The 2018 reworking also boasts “newly ‘remixed’ artwork reflecting the album’s subject matter and features unseen images from the original cover photographic session from the archive of Greg Gorman. Better description is: a new production (2018) of "Zeroes"-- and indeed of the entire Never Let Me Down album. All of David's vocals and his guitars are intact as recorded in 1987. Around them the production (by Mario McNulty) is new. Can a song about murdering an Algerian ever be benign? “It should be a great gig – but they won’t play “Killing an Arab”” – this was the last text message my dad, at home, sent to me before my phone battery died in the sweltering heat of The Cure’s 40th anniversary celebration concert at London’s Hyde Park earlier this month. My dad grew up on The Cure. He had the hair, the platforms, and the drainpipe jeans. He’s stuck with them through every sea change and slump. Against the grain of critical consensus, he reckons that “they’re at their best pre-“The Caterpillar”” – he’s a man who likes OG Cure, from “Boys Don’t Cry”, to “A Forest”, and the band’s first ever single, 1978’s “Killing an Arab”. If not for the inconvenient timing of his wedding anniversary, I’m sure Dad would have dusted off the Doc Martens and hopped on the train to the gig with me. “Killing an Arab” is a short, spiky track with a colourful history. 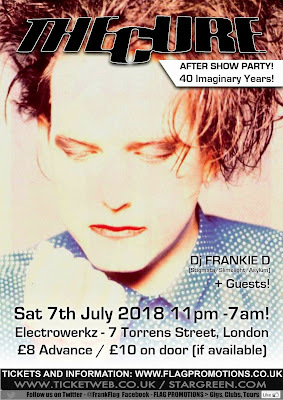 Written by frontman Robert Smith while he was still at school, it was released in 1978 with the B-side “10:15 Saturday Night”. 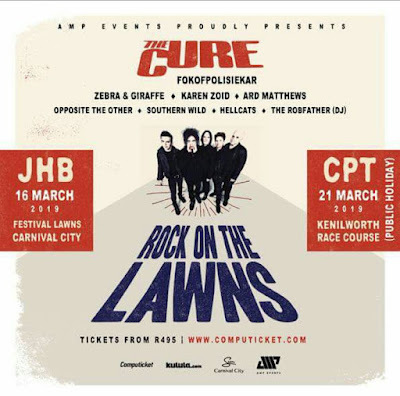 Its main chorus line runs: “I’m alive / I’m dead / I’m the stranger / killing an Arab.” Its been called either racist or misunderstood in equal measure, and in Hyde Park – despite my dad’s convictions – The Cure played it. The song draws its inspiration from the central action of Albert Camus’s novel L’Étranger (The Stranger), which follows a protagonist who murders an Algerian man on a beach after a love dispute involving the victim’s sister. This Arab, as he is continually referred to in the novel, is never named, and the protagonist, detached and unrepentant, is executed for his crime. The novel is an exploration of the nihilism and narcissism of its protagonist, and is held up as a crucial component of the 20th century canon. Sadly, few of the skinheads who turned out to early The Cure gigs had swotted up on their existentialist literature, and somewhat missed this memo. Cure Hyde Park T-shirt (£25) and Lanyard (£8) are up for ordering. "Enter unique code from your email if you paid for shirt with Hyde Park ticket." Thanks @GMFree1. I met Wendy, she was charming. She said that because of the noise, they would call the police all the time. The Cure exhibition will run from July 1-22. Opening times are Wednesday to Saturday 10.30am to 4pm, Sunday 2-4.30pm. Had a bunch of requests for this lately, so here you go. If you have tickets for sale or trade, post them in the comments. As always, only list tickets at face value or below (plus the ticket fees & shipping).